Religious Organizations face an array of unique exposures from both a property and liability standpoint. Our program offers a wide range of tools to cover all aspects of a Religious Organization and Community. 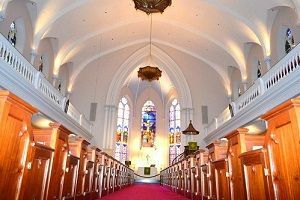 Many Religious Organizations are a part of our country’s most historic and beautiful properties and our program strives to insure the structure with proper replacement cost limit so it can be subsequently rebuilt to it's original splendor. Religious Organizations have more liability exposure than a typical commercial business so it is important that the Organization and it’s members are protected from a lawsuit arising out of the negligence of anyone affiliated, including a board member, volunteer or leader. To learn more about how National Trust Insurance Services can help you, please complete the application, contact us today.